Why venture funds are rushing to back Ineda, maker of chips for wearable devices. Ineda Systems is just the sort of company you'd expect from Dasaradha R. Gude, who has spent a large part of his career in the world of processors. "We are processors" is how he describes himself and his team of nearly 200 people. Gude, or GD as he is known to many of his colleagues and business associates, is clearly excited about the power of wearable chips. Ineda - the name is derived from 'integrated electronics designs for advanced systems' - designs chips for use in wearable devices. 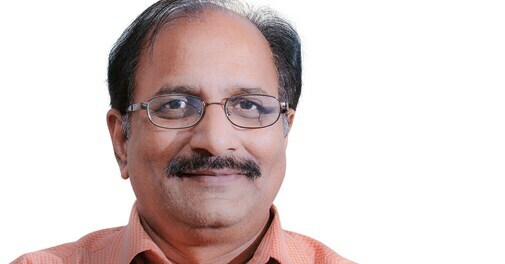 From 2007 to 2010, Gude was Corporate Vice President at Advanced Micro Devices (AMD) Inc, and later Managing Director at AMD India. He founded Ineda in 2011, and members of his team have previously worked in global companies such as AMD and Intel. He says: "They are people with courage to leave big companies and step out to do something innovative." 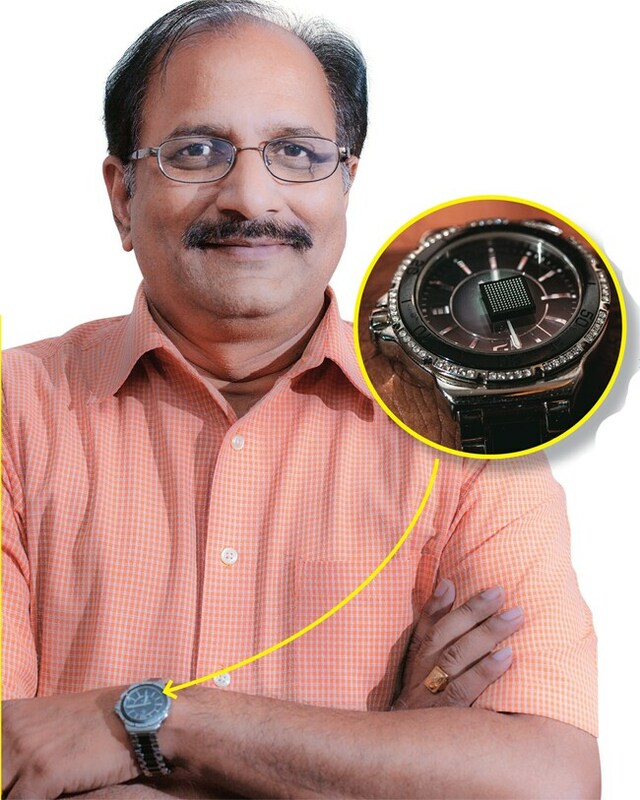 To his customers, he plans to offer chips in sizes of five, seven, nine and 12 square millimetres, which can fit into wearable devices such as smart watches, health and fitness trackers, and pretty much anything that needs to be connected to the emerging 'Internet of things' which allows users to monitor connected devices from a long distance. He promises chips that not only go easy on battery life, but also versions that can provide a range of features, almost like a smartphone. He says his potential customers are leaders in wearable technology, who would need tens of millions of chips a year, and this would bring his costs down. The going has been good so far for Ineda. The company has just received funding from the US-based Walden Riverwood Ventures, from the venture capital arms of Samsung and Qualcomm, and a UK-based research and development company called Imagination Technologies. The total funding is to the tune of $17 million or Rs 103 crore, and Gude intends to use the money to ensure that the chips attain stability for mass production. In April 2013, Ineda raised $10 million (more than Rs 60 crore), with Imagination Technologies as the lead investor. The chips will be manufactured in Taiwan, and Gude is in talks with about two dozen potential customers, big names in the wearable technology market such as Nike and Fitbit. "Because we have a unique proposition and will need huge volumes, we are talking to the really big guys," he says. Clearly, wearable technology is a growing market. Gude says it is already worth a couple of billion dollars globally, and is expected to be a $10-billion industry by 2016. Everyone, from Google to Intel to fitness companies, has its eye on this market. For instance, Theatro, a US-based company, is developing voice-controlled wearable computers for the retail and hospitality segments of the enterprise market. It emerged from stealth mode in December 2013 when it announced its product's commercial availability and relationship with its first customer, The Container Store. Its tiny 35-gm WiFi-based wearable device enables voice-controlled human-to-human interaction (one-to-one, group and store-to-store) and replaces two-way radios. It also enables voice-controlled human-to-machine interaction with, say, in-store systems for inventory, pricing and loyalty programmes. Another potential use is in-store employee location-based services and analytics. There is so much excitement about wearable technology that some companies are even crowdsourcing ideas. For instance, Intel has launched its 'Make It Wearable' challenge, which offers prize money to the best real-world applications submitted by designers, scientists and innovators. 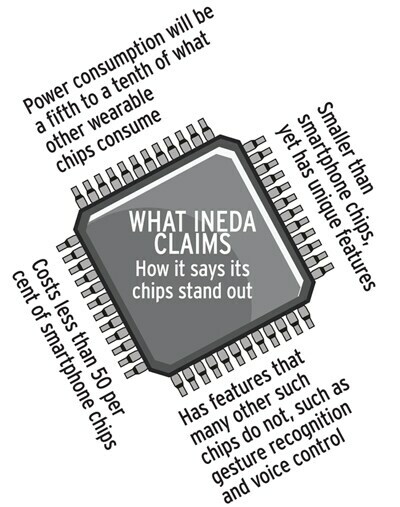 So Ineda's chips could be used in devices such as Google Glass, smart watches, and Nike's FuelBand. And when does Ineda expect its chips to become commercially available? "End of this year or the by the first quarter of 2015," says Gude. He says that at the moment, he has no direct competitor with whom he can do an apples-to-apples comparison. His rivals are either too big and expensive, or too small with few functionality options. He positions Ineda somewhere in between in terms of functionality and price. How the market will respond remains to be seen, but investors are clearly interested.